UPDATED DAILY: Political Buzz: News blog covering US political headline news including; President Barack Obama's 2nd term & the 113th Congress, Special Elections & the 2014 Midterm Elections. Ms. Goodman has a BA in History & Art History, and a Masters in Library and Information Studies both from McGill University, and has done graduate work in Jewish history at Concordia University as part of the MA in Judaic Studies degree program, where she focused Medieval & Modern Judaism and her thesis was on American Jewish History & Southern Jewish History. The following is based on the New York Times calculation of the potential Electoral votes both for the Democratic & Republican nominees. 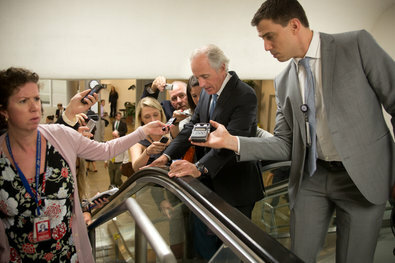 Senator Bob Corker, the co-author of an amendment on border security in the immigration bill, headed to the Senate chamber on Thursday. 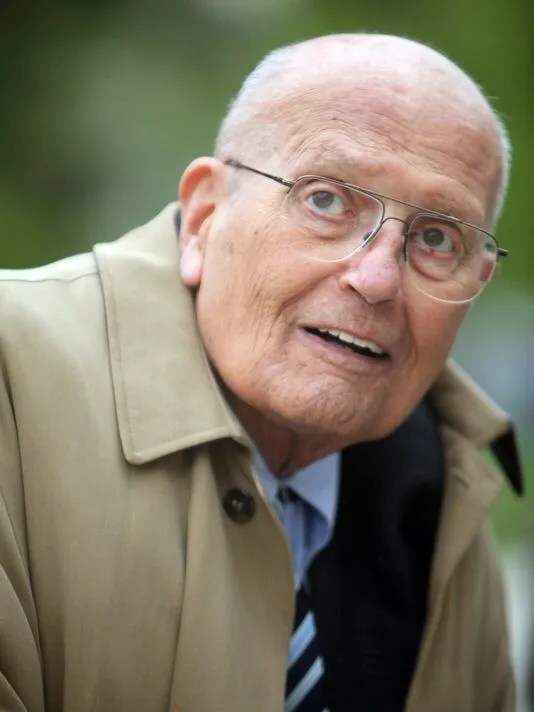 Michigan Democrat plans low-key celebration as he officially becomes the longest-serving member of Congress ever. A lunch with ex-staffers, dinner with a few family friends — an otherwise quiet Friday on Capitol Hill. 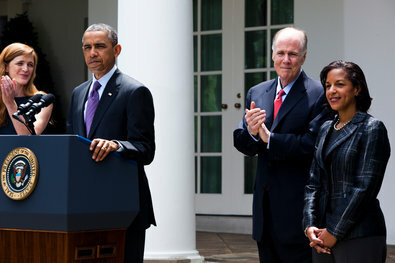 President Obama on Wednesday announced that Susan E. Rice, right, would replace Tom Donilon, second from right, as national security adviser. Samantha Powers, left, will take Ms. Rice’s position as the American ambassador to the United Nations. Political Headlines June 4, 2013: Should Congress Impeach Eric Holder? Should Congress Impeach Eric Holder?